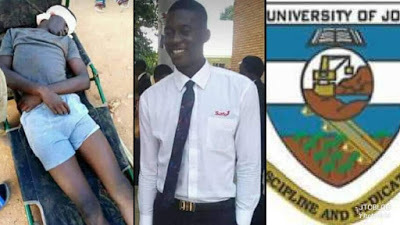 Just when we're trying to let go of the painful memories of losing a close friend, Kumz Shedrack, a 300L undergraduate students of Unijos whom according to a trusted source was allegedly shot by unknown uniform men on sunday the 31st of September right inside Unijos hostel. Here we are being greeted with another tears presumely from Kumz Shedrack's mother, Nenkinwa Gotodok. Nenkinwa Gotodok, whom has been keeping mute ever since the ugly incidence happened has cried out at last over the sudden passing of his beloved son, Kumz Shedrack. 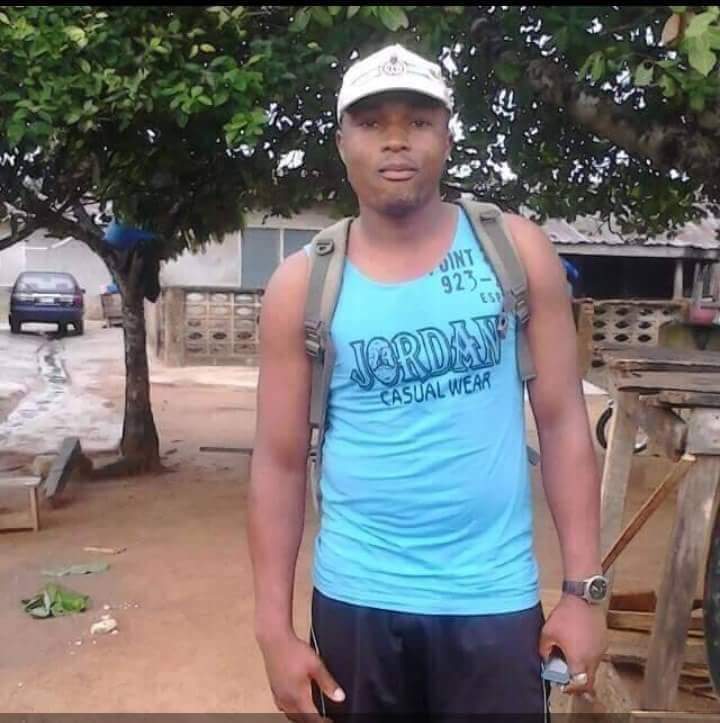 Kumz Shedrack as his popularly called by friends isn't the only one that was shot on that fateful day, they were other 7 persons that went down that day the source added. mun gamar da ahi means "we have finished him"
The Fulani herdsmen where the first to initiate the unfriendly killings from what we gathered after unleashing an attack on occupants living in Rukuba Road Killing 17 persons in total. Taking another look at the turn of events that happened over a couple of days now, Kumz Shadrack's death can be tied down to the post he shared on his social media page. A post that can best be described as talking to the dead. 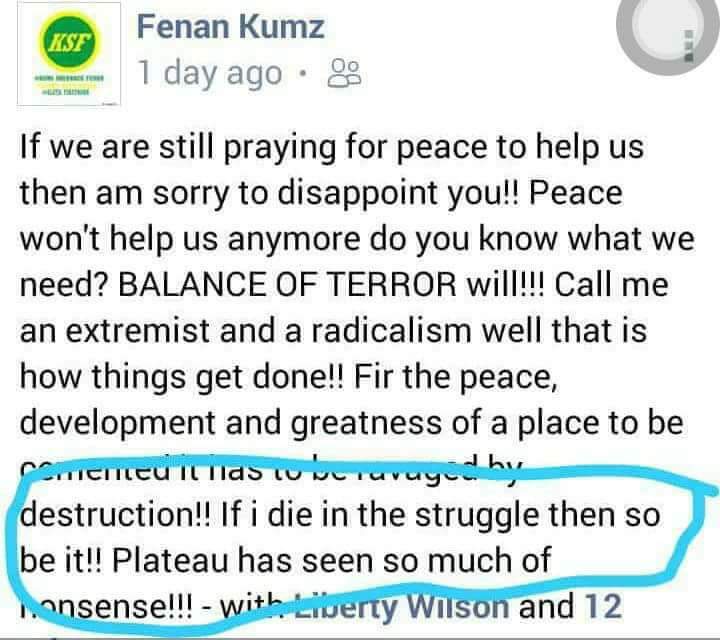 At the beginning of his post, he did made alot of sense up there but ended it all badly which might have given birth to his sudden demise. "If I die in the struggle so be it"
You see my dear, the devil we talk about each passing day is right beside everyone and he's always looking out to use our words or actions to hurt us down like in the case of Kumz shadrack, a promising 300L law students of Unijos with an amazing future that lies ahead. 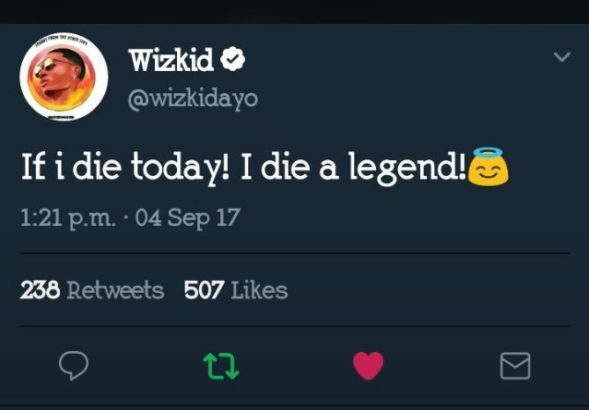 Wizkid, a Nigerian singer also did similar thing few months ago after being diagnosed of having Heath complications presumely from too much intakes of hard drugs. 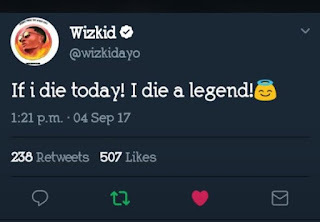 "If i die today, i die as a legend"
I know some persons will be quick to ask me why I'm bringing this up in the first place. Well i didn't mean to but I'm compare to do so because not everyone who calls his or herself your friend is really your friend. Who knows there might be someone watching Kumz post, a hater to be precise who is looking for the slighest opportunity to strike and seeing a post bodly written might just decide to use it against him. 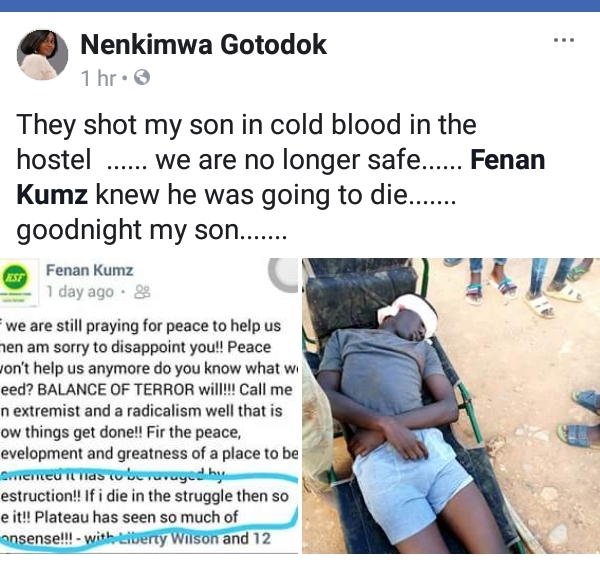 What's even shocking is that those uniform men that allegedly shot Kumz wasn't in any way close to being a military personnel as revealed by our source. 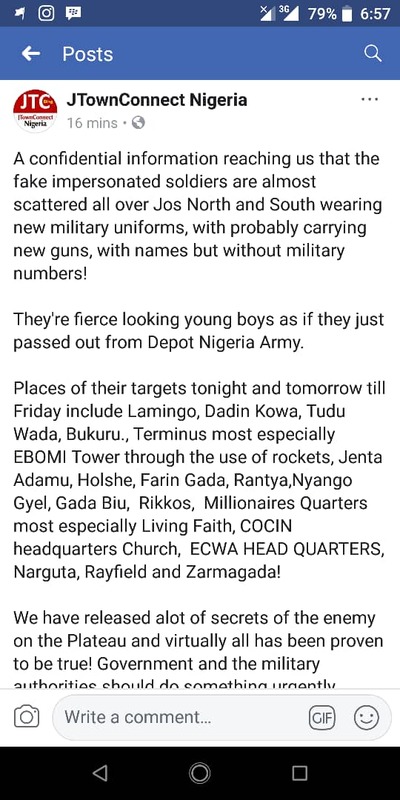 The insider later added that these people are fierce looking individual on military uniform carrying new guns looking like someone that just left the Nigeria army academy. What's more shocking is that they don't even have military numbers attached to their Tags which proves that they were on a selfish mission of mass destruction. The insider later sited their major targets and went further to make mention of their major targets from now till Friday 5th of October, 2018. 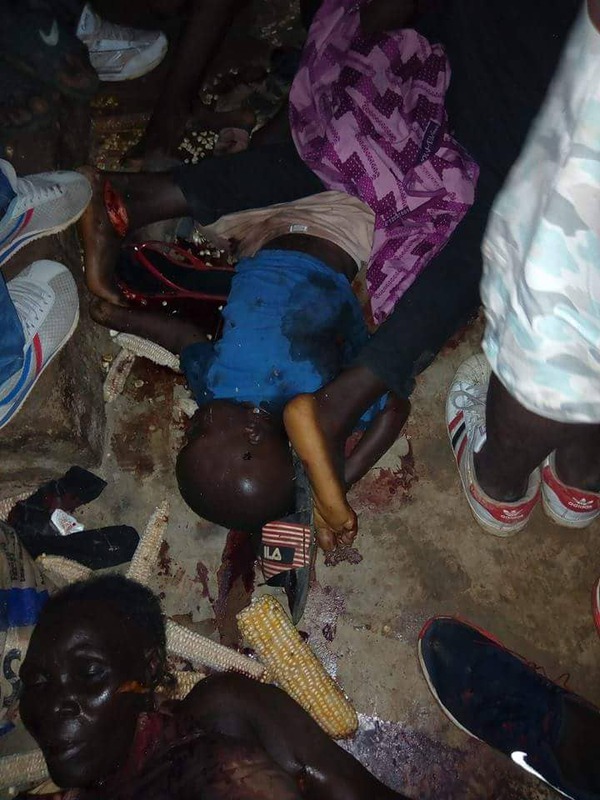 Some of their target location includes Lamingo, Dadin kowa, Tudu wada, bukuru, Terminus, Adamu but to mention a few. 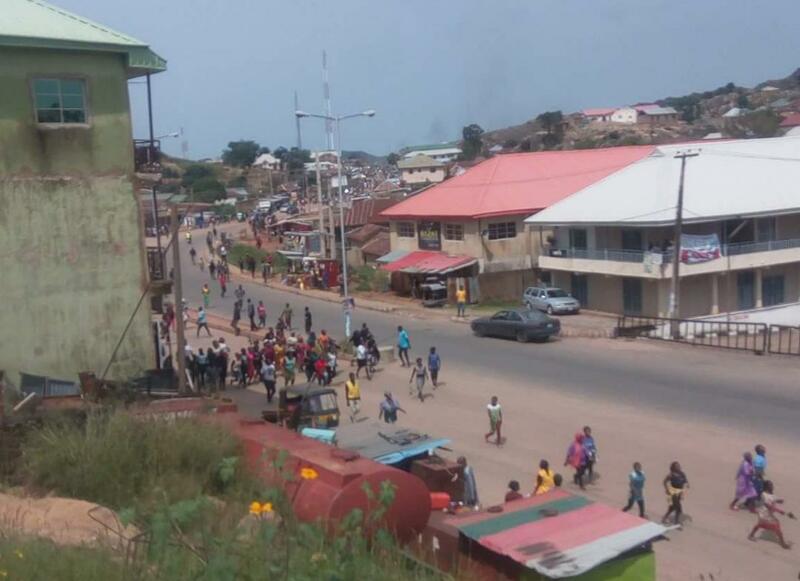 All efforts to bring to a stop this nonsense has proven abortive but from what we learnt from Plateau state government, there's alot that has been put in place to stop this killings in Jos and it's environs. Kumz shadrack, may your gentle soul rest in the lords vineyard Amen.